CONSCIOUS SMILING is a practice I created to bring joy with out any reason. Some times people think they need a reason to be happy and light-hearted. No! You don’t need a reason. This CONSCIOUS SMILING is a funny thing I do just to make my day happier. Now I’m sharing it with you. It’s simple, easy, anyone can do it and it only takes 2 seconds. 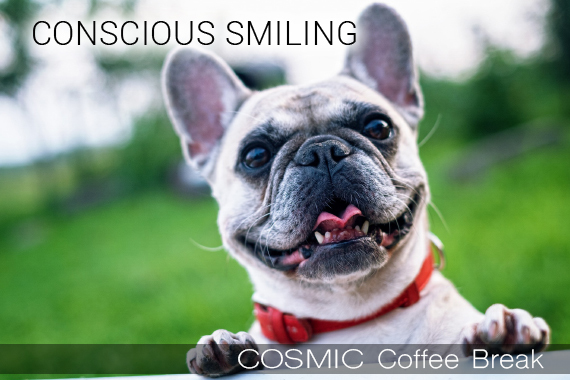 In this episode of the Cosmic Coffee Break, Lumari guides you in totally fun and almost silly practice of CONSCIOUS SMILING to help you immediately connect with a live with more joy, laughter and fun in your life.